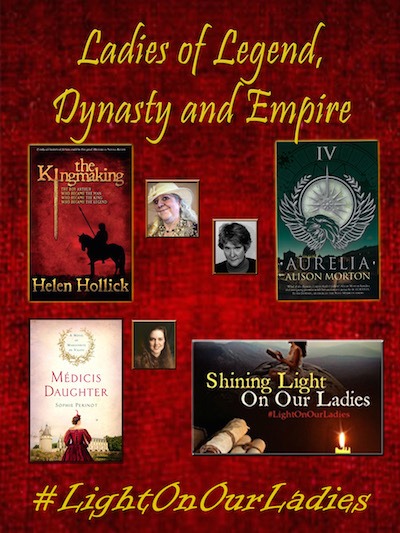 This is the last of the posts on my Regency-based heroines. I loved the process of looking back at some of my creations, and I hope we will soon do the same for the heroes in our books. 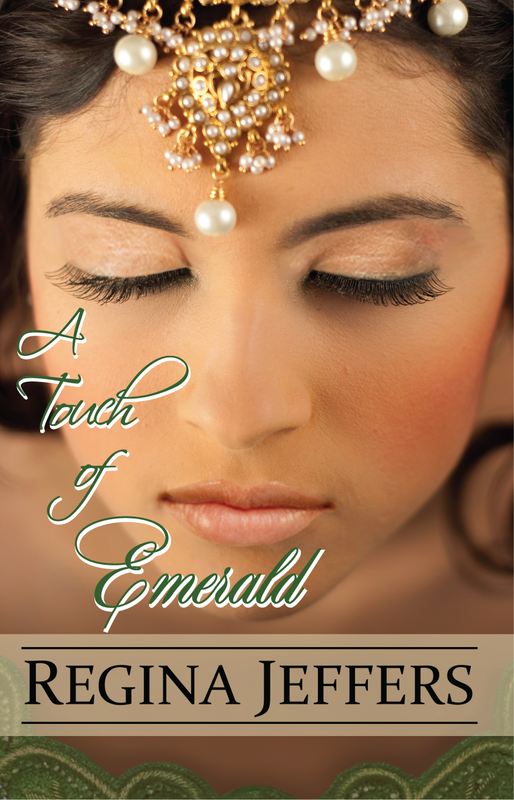 Lady Sonalí Fowler of A Touch of Emerald is the last of the ladies from my REALM series. I purposely kept her removed from the previous two posts on the women of the REALM because in book one she was but a five-year old child. The hero of A Touch of Emerald, Daniel Kerrington, Lord Worthing, was but 10 years of age in book one (A Touch of Scandal) and the courtesy title of Lord Worthing belonged to his father. In book 2 (A Touch of Velvet), Lady Sonalí was kidnapped by a Baloch warrior Rahmat Talpur. He held her in the space of the bench in the coach increasing her fear of the dark. Later when the then Lord Worthing (James Kerrington) rescued her, Sonalí was forced to squeeze through a collapsed smugglers’ tunnel in order to reach freedom. Moreover, the realization that her father chose to chase after the kidnapper of his cousin/love interest Miss Velvet Aldridge instead of Sonalí skews Lady Sonalí’s self confidence. In A Touch of Emerald, she must face each of her fears for the Baloch warlord, Shaheed Mir, captures her and places Sonalí and five of the younger REALM children in Chistlehurst Caves, which is 22 miles of passages. Moreover, the fact that she is of Indian descent plays a role in her development. Beyond fighting for her life, Sonalí must face social criticism and find a means to claim her identity as an asset rather than a deficit to her father’s name. Today’s society often defines a person based on looks. Sonalí encounters this phenomena, and in the beginning she attempts to “hide” from her place in the society, but with the guidance of Daniel’s parents, Sonalí steps into the light. For nearly two decades, the Realm thwarted the efforts of all Shaheed Mire sent their way, but now the Baloch warlord is in England, and the tribal leader means to reclaim the fist-sized emerald he believes one of the Realm stole during their rescue of a girl upon whom Mir turned his men. Mir means to take his revenge on the Realm and the Indian girl’s child, Lady Sonalí Fowler. One of my favorite characters is Adam Lawrence, Viscount Stafford, heir to the Earl of Greenwall. Stafford is my go-to character. He made his first appearance in The Phantom of Pemberley, where he assisted Fitzwilliam Darcy capture a murderer. In that book, Stafford is a bit of a rake; he travels with his mistress Cathleen Donnel. At the end of the book, he releases Cathleen to return to her family. During the next seven years, Stafford makes appearances as a minor character or a walk-through character in A Touch of Velvet, A Touch of Grace, A Touch of Honor, His American Heartsong, and A Touch of Mercy. 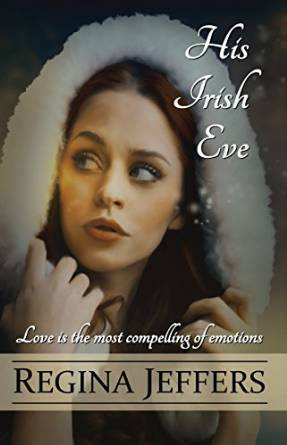 Readers asked me to write “Adam’s story.” Therefore, I created His Irish Eve. Adam encounters Aoife Kennice when his father sends Adam to Cheshire to claim Adam’s by-blow by the long-ago dismissed mistress Cathleen. When he arrives in the area, Stafford discovers Cathleen left him to return to her family and to deliver their children (triplets). The children are being cared for by Cathleen’s cousin, Aoife Kennice. [Just as a side point, “Aoife” is the Gaelic name for “Eve.” Get it: Adam and Eve. I know I am sick!!!] Aoife tends sheep and keeps his children safe. Their relationship begins rocky for Adam is accustomed to women falling for him immediately. Aoife considers him a conceited “prat.” From her, however, Adam learns something of the value of a full day’s work, as well as pride in his accomplishments. They literally fight off the brigades storming St. Peters Field during the Peterloo Massacre to keep the children from harm. Moreover, Aoife leads Adam back to his family, especially his father, Lord Greenwall. When the Earl of Greenwall demands his only son, ADAM LAWRENCE, Viscount Stafford, retrieve the viscount’s by-blow, everything in Lawrence’s life changes. Six years prior, Stafford released his mistress, Cathleen Donnell, from his protection; now, he discovers from Greenwall that Cathleen was with child when she returned to her family. Stafford arrives in Cheshire to discover not only the son of which Greenwall spoke, but also two daughters, as well as a strong-willed woman, in the form of AOIFE KENNICE, who fascinates Stafford from the moment of their first encounter. Set against the backdrop of the early radicalism of the Industrial Revolution and the Peterloo Massacre, a battle begins: A fight Lawrence must win: a fight for a woman worth knowing, his Irish Eve. The last of my Regency offerings is from Book 1 of the First Wives’ trilogy. 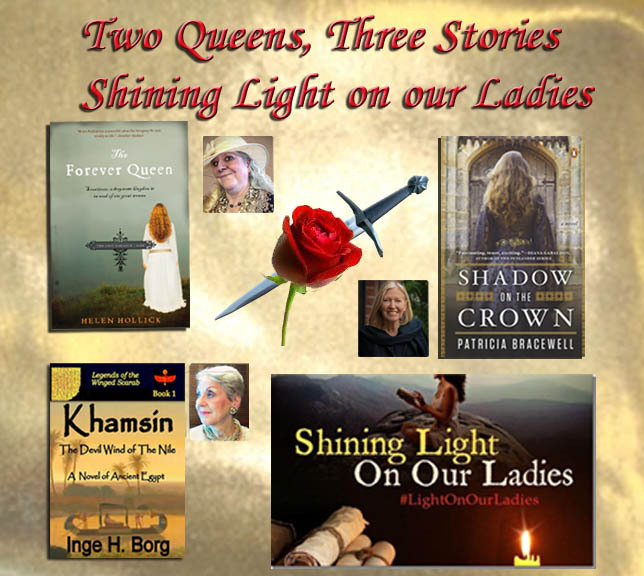 The premise behind this trilogy is that each of the heroines will be presented to Society as a “first wife”/widow (even though she is not but a country miss). As a widowed woman of the Regency era, the lady will have more freedom than an unmarried miss, especially in London. Rosellen Warren comes to stay as a companion to the Dowager Countess Eggleston, but the countess means to find Rosellen an appropriate marriage. However, the countess never suspected that the one person who really takes to Rosellen is the woman’s son, the current Earl of Eggleston. Unfortunately, Nathaniel Epperly is legally married to another. That is until his wife turns up murdered, and he is accused of the slaying. Yet, Epperly has a staunch supporter: Rosellen will move heaven and earth to prove Lord Eggleston is NOT the murderer, even risking her own life to do so. NATHANIEL EPPERLY, the Earl of Eggleston, married the woman his father chose for him, but the marriage was everything but comfortable. Nathaniel’s wife, Lady Charlotte, came to the marriage bed with a wanton’s experience. She dutifully provides Eggleston his heir, but within a fortnight, she deserted father and son for Baron Remington Craddock. In the eyes of the ton, Lady Charlotte cuckolded Epperly. ROSELLEN WARREN longs for love and adventure. Unfortunately, she’s likely to find neither. As a squire’s daughter, Rosellen holds no sway in Society; but she’s a true diamond in the rough. Yet, when she meets Epperly’s grandmother, the Dowager Countess Eggleston creates a “story” for the girl, claiming if Rosellen is presented to the ton as a war widow with a small dowry, that the girl will find a suitable match. BARON REMINGTON CRADDOCK remains a thorn in Eggleston’s side, but when Craddock makes Mrs. Warren a pawn in his crazy game of control, Eggleston offers the woman his protection. However, the earl has never faced a man who holds no strength of title, but who wields great power; and he finds himself always a step behind the enigmatic baron. When someone frames Epperly for Lady Charlotte’s sudden disappearance, Nathaniel must quickly learn the baron’s secrets or face a death sentence. Now, for the giveaway. 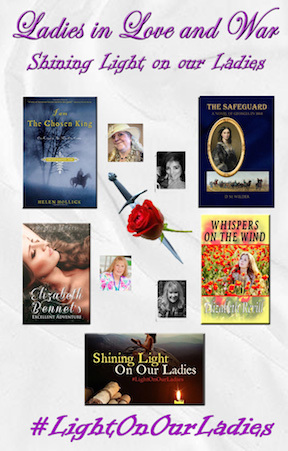 Three winners will be chosen from those who comment below for eBook copies of the novels listed above. Winners choice of book! The giveaway closes at midnight EST Saturday, October 31, 2015. 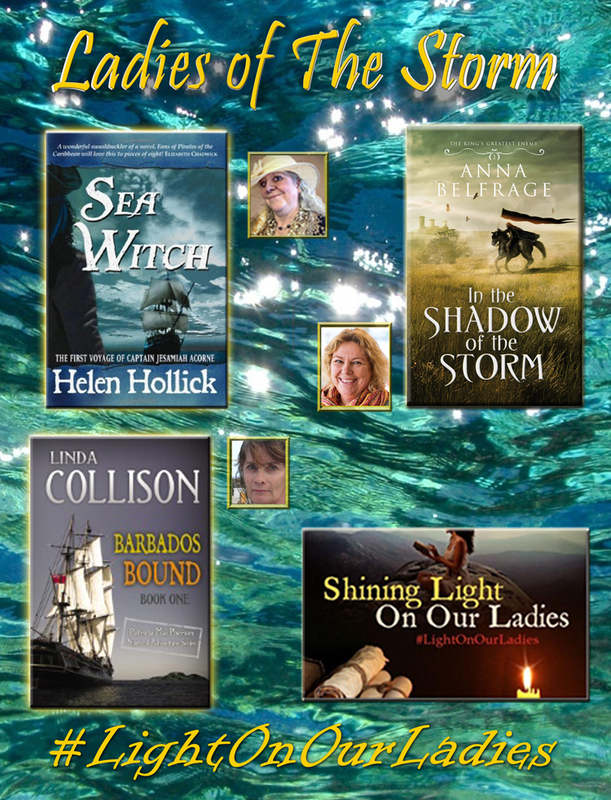 PLEASE JOIN THE OTHER PARTICIPANTS IN THE BLOG HOP. I HAVE LISTED THOSE FOR TODAY AND THOSE FOR THE PREVIOUS THREE TUESDAYS. 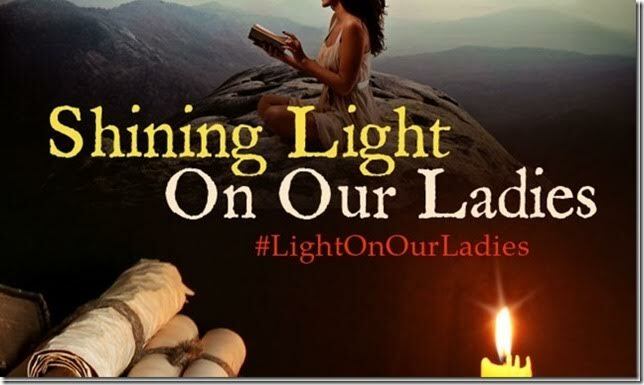 This entry was posted in British history, Great Britain, Living in the Regency, Regency era, Uncategorized and tagged "His Irish Eve, A Touch of Emerald, Historical Romance, Realm Series, Regency England, The First Wives' Club, trilogy. Bookmark the permalink. Why do I feel like someone eyeing a box of chocolates and trying to decide between a cordial cherry and a caramel? Hmmm… A touch of emerald? Exotic, and written in such a lovely style! Count me in for a copy! Many thanks, Diana. I postponed the conclusion of the series for I did not wish to say “farewell” to the gentlemen and their ladies, but this one turned out better for the delay. Please count me in for “A Touch of Emerald”. Love this site!